Eurocom is now offering a line of lightweight Mobile Servers with an integrated display, keyboard and battery (UPS), powered by Intel Xeon E3 processors, up to 32 GB of memory, up to 5 TB of RAIDable storage, and support for a variety of server grade operating systems for the ultimate Mobile Server capability, mobility and deployment. The 15.6” EUROCOM S5 Pro and 17.3” S7 Pro Mobile Servers are designed for instant deployment due to their lightweight design and capability brought on by plethora of supported technology. The EUROCOM S5 Pro and S7 Pro can be preloaded with a variety of server class operating systems including Windows Server 2012 to provide customers with powerful and flexible server application management. Storage for the EUROCOM S5 Pro and S7 comes by way of four drive bays, two M.2. SSD slots and 2 standard drive bays for up to 5 TB of RAIDable storage. PCIe Solid State drives are supported for enhanced storage performance. RAID 0, 1, 5 and 10 options are offered for maximum performance and to protect your data. The EUROCOM S5 Pro has Intel® XEON E3-1200 v3 series support from an Intel Z97 Express Chipset and LGA 1150 socket. Memory is fully upgradeable and configurable with four SODIMM sockets able to support up to 32 GB of memory. The S5 Pro is prewired for 3G/4G module support, through an M.2 slot, so users can have a reliable internet connection on the go, in remote locations, with no need for messy cable internet connections. 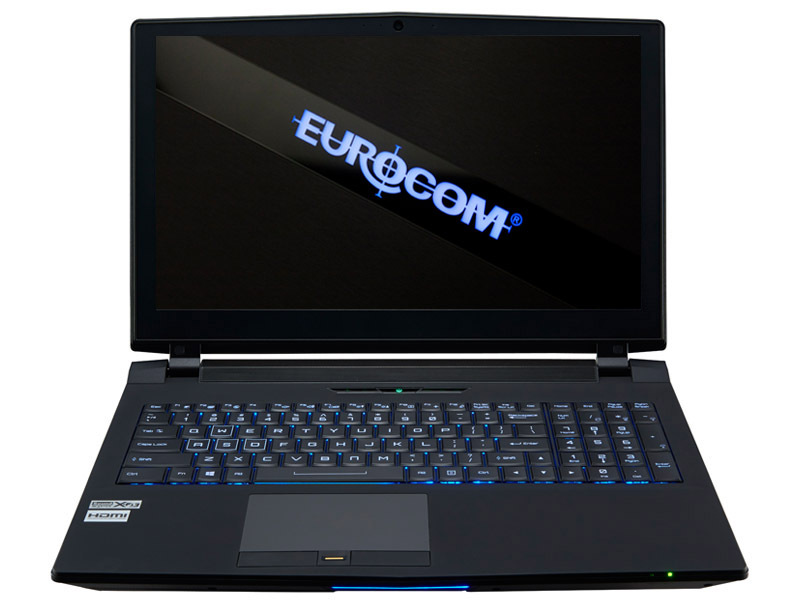 Security is paramount for Eurocom Mobile Server customers, the EUROCOM S5 and S7 Pro is equipped with a Trusted Platform Module 2.0 (TPM), finger print reader and Kensington lock port to keep crucial data and intellectual property secure.